There are a few ghost stories centred around the village of Grewelthorpe. The first reported in the Pateley Bridge newspaper in 1877. Related to a ghost which tormented some of the villagers almost 100 years earlier. A farmer unfortunate in having a faithless, termagent wife became a moping solitary being, and seeing no other way out of his troubles committed suicide in a fit of despair. He was found with his throat cut and his body otherwise mangled. The coroner said he had killed himself in a fit of temporary insanity. He was buried forthwith. The widow having attended the funeral was met by the ghost of her husband at her door on returning home. For the widow there was no rest. The ghost was a greater torment to her than he had been in life. If she laid down to rest at night, the ghost was tearing the clothes off the bed, pointing to his gaping wounds. He even walked about in open daylight, riding behind his wife as she came from market. He was so mischievous and troublesome that she resolved to get help from learned men to lay him. Four clergymen consented to help, they arranged an appointment. Words of power were spoken, but nothing worked. They could not bring the ghost to ground. It flew around in the air mocking them. At length a little old parson, curate of the Parish Church named Greenbank thought of a more powerful spell. He thundered forth in Latin. No sooner did the ghost hear the dreaded language he began to quake and parley. The old parson tricked the ghost and made him fall into a well where he remains to this day. The next ghost which for a while made the village of Grewelthorpe one of the most noted in the county was that of an old blind farmer who returned from the grave about 1824. In life he had not been distinguished from other men by any vices or virtues. He was careful with his money, some said miserly, so that he died worth a good sum in one kind of property or another. This property not being disposed of according to his will was the cause of his reappearance. To give further instructions for its disposal. His first appearance was to a distant relation who had some interest in the goods and chattels. As he returned from Ripon market late one winters evening, in the weird glen known as Thievesgill. This first meeting was not much, no business was done. At midnight the ghost again appeared, stood by the bed side of the living man and then in an awful tone he related his experiences after death which were not happy or agreeable. He threatened the man. He arranged another meeting and vanished into thin air leaving an unpleasant smell behind him. The next night the ghost appeared again and the two had a long chat about the Ghosts property and affairs. He explained about its distribution – most of what he discussed was quite trivial. They arranged to meet the next night. The ghost suggested that the man invited his brother to attend. The man agreed. The next night the ghost turned up but only the man could see it. The brother could hear words and smell sulphur and see a misty cloud. This was the last ghostly visit. To prove it had visited, the ghost deprived the man of the hearing in his right ear. Then it vanished. The man did not keep the visitations secret. He was a local preacher and he broadcast his experiences in the pulpit and in the press. A broadside was printed and was read by thousands of people. 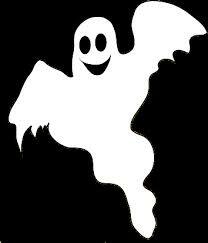 Another ghost appeared in 1846. A young Primitive Methodist preacher was in Grewelthorpe. After the service he went to the house of a member of the society to sleep the night. After supper he retired to bed. He was awakened by the sound, as he thought, of his host who was a blacksmith, working. He thought it was morning. He could hear the clang of the hammer on the anvil. But then he heard the clock strike midnight. He tried to go back to sleep. Something heavy came on to the bed at his feet, it worked his way up to his chest, and stayed there a tremendous weight. He could not move. He began to pray and this gave him ease. He tried to sleep again but the weight returned. He prayed all night long. At breakfast he had no appetite. The old man in the presence of his wife and daughter asked him why. He told them his story. The daughter who was a bit simple left the table and went to the closet, she took out a human skull. Showing them the skull he said she knew what it was about. They had found the skull and she said they couldn’t rest unless it stayed in the house. They had tried to bury it in the garden but they had been forced to dig it up again. “We can only rest in bed it if is in the closet” she said. The young preacher was surprised and shocked and was glad to escape the place. The next time it was his turn to preach there, he arranged for friends from Ripon to meet him in Grewelthorpe and to walk back to Ripon with him, rather than risk the wandering skull. The next time he came to Grewelthorpe he discovered the old man and his wife were dead, and the girl had been removed to a lunatic asylum. What became of the skull was not known. Recorded by Barbara Bradley. June 2017.